"Showbiz enabled me to touch people's lives kahit papaano. Tinutuloy ko lang ngayon sa paraan na mas makakatulong ako ng malaki lalo sa mga tao na galing din sa hirap," Isko Moreno says about his shift from being an actor to a public servant. Isko Moreno's life story is the literal meaning of the popular adage, "From rags-to- riches." "Hindi naman ako yumaman, sinuwerte lang," Isko quickly counters with his boyish smile. Everyone knows his story and while some with a similar background might exhibit uneasiness or even embarrassment in talking about an unglamorous past, the former matinee idol-turned-politician never gets tired of sharing his humble beginnings. "Proud ako kung saan ako nanggaling. Nung bata ako I admit there were instances na medyo nakakailang ‘din pag-usapan kasi hindi mo maiaalis (na) may mga insecurities, tapos nasa showbiz ka pa. Pero hindi ko kinahiya na talagang galing ako sa hirap and as I matured mas lalo kong na-appreciate lahat ng pinagdaanan ko," he seriously muses. Prior to his stint in show business, Isko, who is Francisco Domagoso in real life, was a cart-pushing scavenger traversing the ungodly streets of Tondo, Manila, to make ends meet for him and his mother. Isko simply had no choice as a child out of wedlock. Most, if not all, of his father's earnings went to his first family. "Grade 4 pa lang ako, nagtutulak na ko ng kariton," he vividly recalls. "Lahat ng puwedeng ilagay sa kariton at ibenta, tulad ng bote, bakal, dyaryo... ‘yung mga ganun." He also experienced the indignity of rummaging restaurant waste bins for leftover food. Isko gamely shared that he frequented a McDonald's chain near Tondo to hunt for surplus stuff to take home to his mother. "Yung mga chicken leftover usually puro buto na lang pero okay pa din para may makain kami," he says without a hint of bitterness. Despite his wornout appearance due to street dust and the sun's scorching heat, Isko's good looks still caught the attention of a talent manager who quickly egged the skinny Isko to join show business. He joined Kuya Germs stable of That's Entertainment talents before doing serious acting, which also included doing mature roles at the height of the TF (Titillating Films) genre. 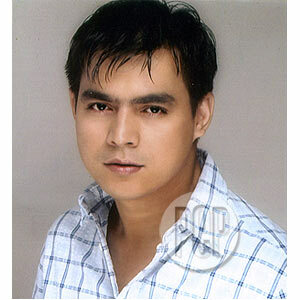 Isko describes his meteoric rise in showbiz as surreal. "Dati nagtutulak lang ako ng kariton sa Tondo, walang pumapansin sa ‘kin. Then all of a sudden, kilala ka na ng maraming tao," he smiles shaking his head in amusement. FROM STUDIO TO CITY HALL. Isko's humble beginnings motivated him to enter public service, as he did in entertainment. Ever since immersing himself in politics, the That's Entertainment alumnus can now be seen within the thick walls of City Hall, in session halls, or interacting with his constituents on the street. He served three terms as Manila Councilor. But despite this distinction, Isko confides that fitting into the role entailed a lot of hard work and many struggles. Politics, he found out, can be twice as cruel in criticism as show business. Isko says he experienced being laughed at by some of his colleagues because he couldn't express himself coherently during meetings and discussions. His "more educated" detractors had a field day taking advantage of his weaknesses as a public servant in front of a session audience. "Nag-aral talaga ko hindi lang para magampanan ko ng husto ‘yung trabaho kundi para din sa sarili ko," he humbly admits. He took up Public Administration at the Pamantasan ng Lungsod ng Maynila while simultaneously fulfilling his duties as Councilor. Now serving as Manila's vice mayor, Isko confidently relayed that he's more equipped for the role and loves the fact that he can now serve more Manileños. On the personal side, Isko is happily married to longtime girlfriend, Dynee Ditan, with whom he has four kids—Patrick (9), Frances (6), Joaquin (5) and Franco (1). "For practical reasons, four children is enough. Pero kung kaya lang, gusto ko isang dosena....Kasi mag-isa lang akong anak kaya gusto ko sana madaming anak para masaya," beamed Isko good-naturedly. Being an only child and having to go through early life struggles; Isko does his best to balance everything both as a family man and as Manila's second father. He starts his day by spending time with the children before they go to school and before he goes to the office. "I see to it that I spend quality time with my family, especially with my children. ‘Pag Sunday talagang full-time ako sa pamilya." Keeping his background in mind, Isko said that he keeps everything simple and hopes that his children will see the value of his practices as a father. "Simple lang naman lahat. We usually go to the mall, eat out or play arcade games," he narrates enthusiastically. "I'm giving them ‘yung gusto nila pero I'm very cautious not to spoil them kasi I want them to learn and appreciate simple pleasures. It's not always about the money, ‘yon ‘yung gusto kong maintindihan nila." He'll always be fond and grateful to showbiz for giving him the chance to lead a comfortable life and for making him realize that life is full of great opportunities. Isko confesses that he misses the spotlight but believes that his true calling is really in public service.